This is a small light sensors. As the squiggly face is exposed to more light, the resistance goes down. 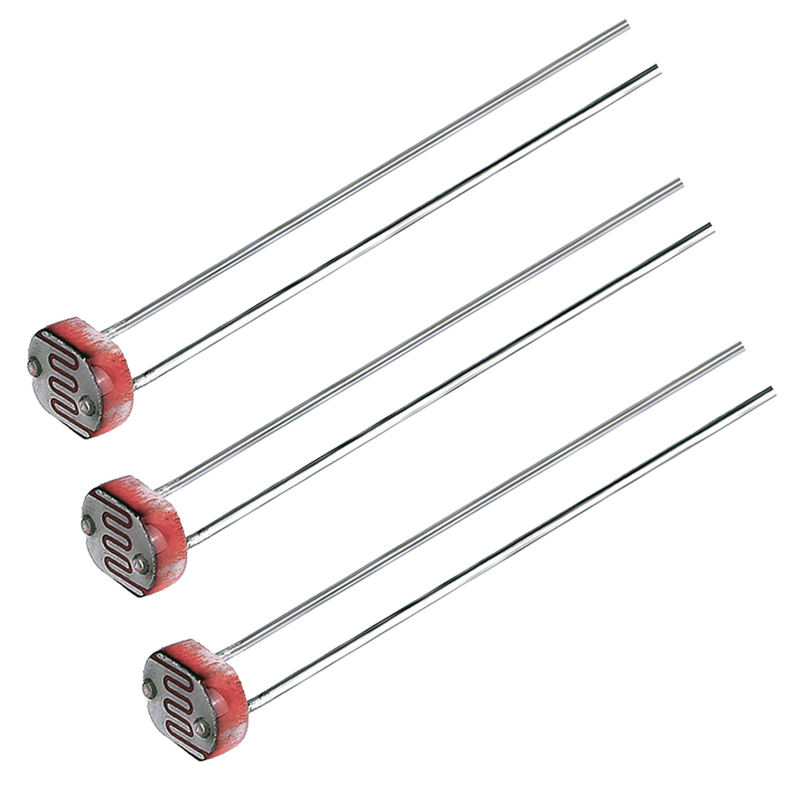 When its light, the resistance is about 5-10KΩ, when dark it goes up to 200KΩ. To use, connect one side of the photo cell (either one, its symmetric) to power (for example 5V) and the other side to your microcontroller’s analog input pin. Then connect a 10K pull-down resistor from that analog pin to ground. 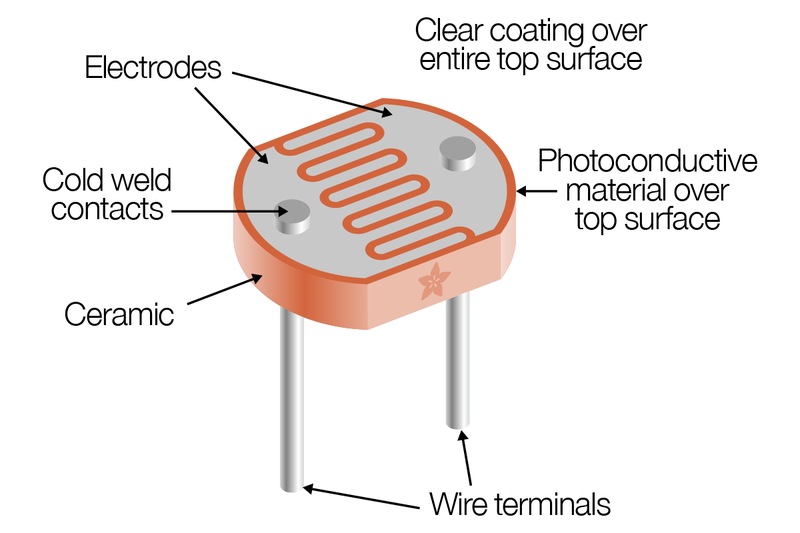 The voltage on the pin will be 2.5V or higher when its light out and near ground when its dark.